I’m just coming down from the high of witnessing today’s NAB AFLW official season launch. 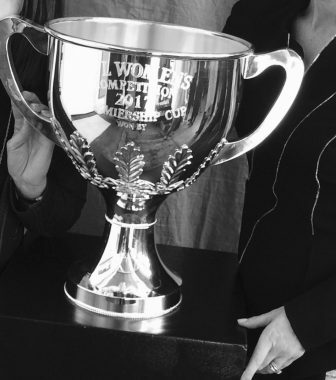 Watching business woman Susan Alberti grace the stage with eight fine athletes and a shiny women’s premiership cup is something I doubt I’ll ever forget. Love the game or not, increasing women’s representation in a sport which has historically been a ‘big boys club’ is a win for us all. Young girls can’t be what they can’t see and more women participating across all levels of our media and community is real progress. The first women’s match took place in 1915, when the men went off to war and our sisters have been enjoying the competition ever since. On Friday night, however, they become semi-professional. THIS THING JUST GOT SERIOUS! AFL Chief Executive Gillon McLachlan today reminded guests this has not been an overnight success and thanked the countless women who have worked vigorously to win support. More on the AFLW’s official site over here. THIS FRIDAY FEBRUARY 3RD MARKS THE START OF THE HISTORIC COMP. THERE ARE 8 TEAMS IN THE NEW SEASON. THE SEASON RUNS FOR 8 WEEKS OR 7 ROUNDS WITH A GRAND FINAL. ALL TEAMS WILL PLAY EACH OTHER THE ONE TIME, THOSE THAT FINISH FIRST AND SECOND ON THE LADDER WILL PLAY OFF IN THE GRAND FINAL FOR THE PREMIERSHIP. THE FINAL WILL BE HELD ON MARCH 25th. GAMES WILL BE PLAYED 16-A-SIDE WITH A 6-PERSON BENCH, AS OPPOSED TO 18-A-SIDE WITH 4 INTERCHANGE FORMAT. THE WOMEN’S GAMES DO HAVE A SMALLER BALL. EACH TEAM WAS ABLE TO SIGN TWO MARQUEE (MEANING SUPER TALENTED) PLAYERS ON THEIR LISTS. THE GAMES WILL BE PHYSICAL. AFLW TEAMS WILL BELT OUT THEIR RESPECTIVE THEME SONGS ON THE FIELD IN FRONT OF FANS, AS OPPOSED TO IN THE CHANGEROOMS. IT’S HOPED FANS WILL JOIN THE WINNING TEAMS, MOST OF THE TRADITIONAL CLUB THEME SONGS WILL REMAIN UNCHANGED. YOU WILL BE ABLE TO WATCH FRIDAY’S GAME ON CHANNEL SEVEN AND FOX FOOTY. THIS FRIDAY NIGHT, PLAYERS WILL RUN ON TO MELBOURNE’S IKON PARK, ENTRY IS FREE AND GATES OPEN FROM 5.30PM. 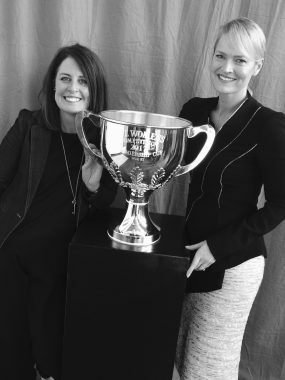 Photo – Cancer Council Vic Board member Stephanie Bansemer-Brown and Martine Harte. The more years I clock, the more I realise how important it is that we dare to dream. Big, audacious dreams which often make us feel ridiculous to say out loud and feel impossible to execute. Time has taught me that if enough ambitious people are focussed on the one crazy goal it can materialise. Particularly if you can argue a good business case! Point is: if you have a goal, gather your tribe of equal-minded women and men and give it your best shot! 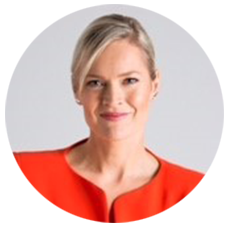 It was also brilliant to see the many strong AFLW voices and journalists in the room, including co-host of the AFL Footy Show on the Nine Network Bec Maddern and Australia’s first female boundary rider on the original Fox Footy Tiffany Cherry. Cherry s host of Women’s Footy on Nine. They have blazed their own trail over many years and adore this game. Broadcasters Angela Pippos and Kellie Underwood have also made an impressive mark during their careers, inspiring a new breed of women. We also owe the countless women who have been playing the game, volunteering and generally working hard behind the scenes for many, many years. Can’t wait to see how this competition unfolds…. If you want more sport: check out our interview from the library with Shannon McFerran. Our interview with Susan Alberti is coming up. Follow us on insta: @engagingwomen if you want to see some video from today. Posted in Career insights, The big issues. Tagged in aflw, women in leadership, women's football.